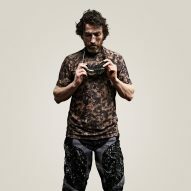 This trio of T-shirts by sportswear brand Vollebak features camo prints designed to conceal the dirt and damage done by extreme sports. 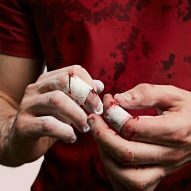 Each of the patterns, which were created by graphic designer Lee Glasspool, uses several layers of colour to recreate the appearance of blood, sweat and soil. The T-shirts are intended to function as "pre-camouflage" for those about to embark on extreme sports such as mountain biking, climbing, ultramarathons and obstacle courses. 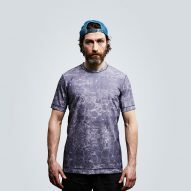 Vollebak's Salt Camo T-shirt features a marbled grey and white design, to hide dried sweat, while the combination of colours in the Dirt Camo shirt replicates splatters of white clay and dark red peat stains. According to the brand, the layered pattern reflects the haphazard nature of sport, and covers wearers for everything from mud spattered from wheels to smears from falls. The Blood Camo features seeping shapes that are designed to conceal cuts, and includes several different reds to reflect the different drying stages of bright red to brown. 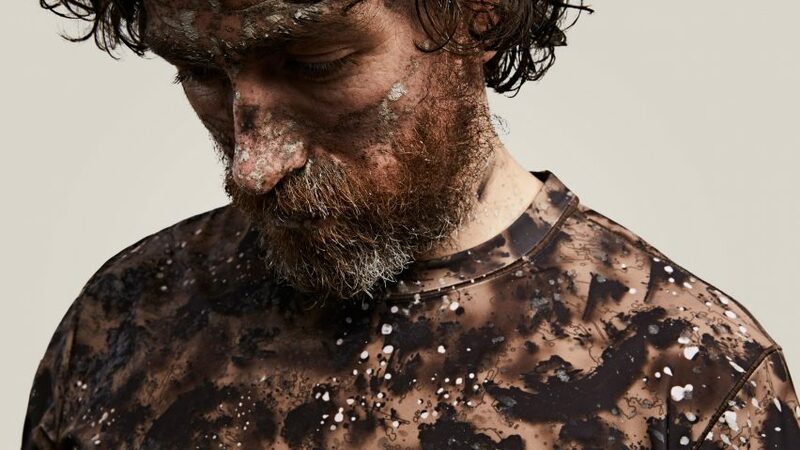 "Blood, Salt and Dirt Camo are designed for the situations where you know you're going to look and feel like crap," said Vollebak co-founder Nick Tidball, who set up the brand in 2014. "We started with the principle that things are going to get messy, so why pretend otherwise." "This is clothing that knows it's going to get trashed, but no-one will be able to tell." 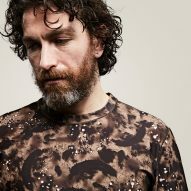 Each of the T-shirts, which retail for £65, is made from lightweight fabric, and according to Vollebak has tougher stitching to withstand more extreme movement. 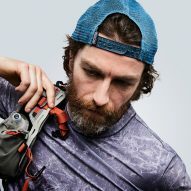 The brand made an earlier foray into extreme sports in 2015, when it launched a ceramic-skinned jacket designed to protect climbers from falls. Other innovative recent sportswear design includes a long-jump suit made from the same material used to make Skyn condoms and swimwear made from upcycled fishing nets.